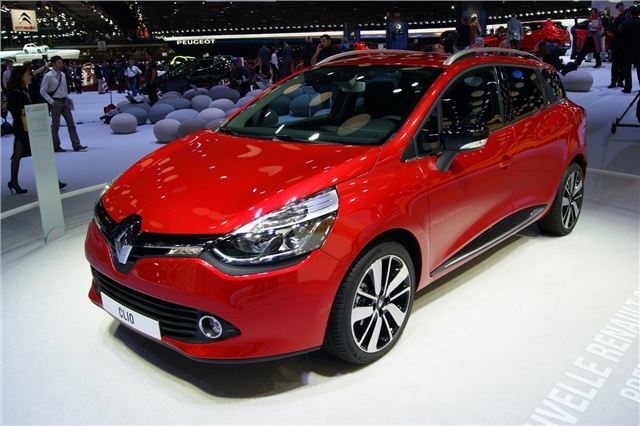 Renault is calling its new Estate version of the Clio the Clio Estate, rather than Tourer or ST which seems to be the vogue for manufacturers of late. Handsomely styled, the Clio Estate has the same wheelbase as the hatchback, but is 201mm longer to give increased rear load space. It’s a five-door, but the rear door handles are hidden away to give a smoother, coupe-like appearance. That’s not to say practicality is sacrificed – there’s a 443 litre boot which can be extended thanks to folding rear seats – and for long objects the front passenger seat folds flat too. Further details, such as pricing and engine line-up, have not yet been announced, but expect details shortly. beautifull and avangard car! Best clever design!